Each ceiling sign mounting kit includes (2) nickel-plated steel hanging cables (with a loop on each end) and (2) S hooks. 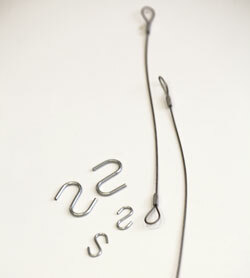 Cables are available in a variety of lengths. 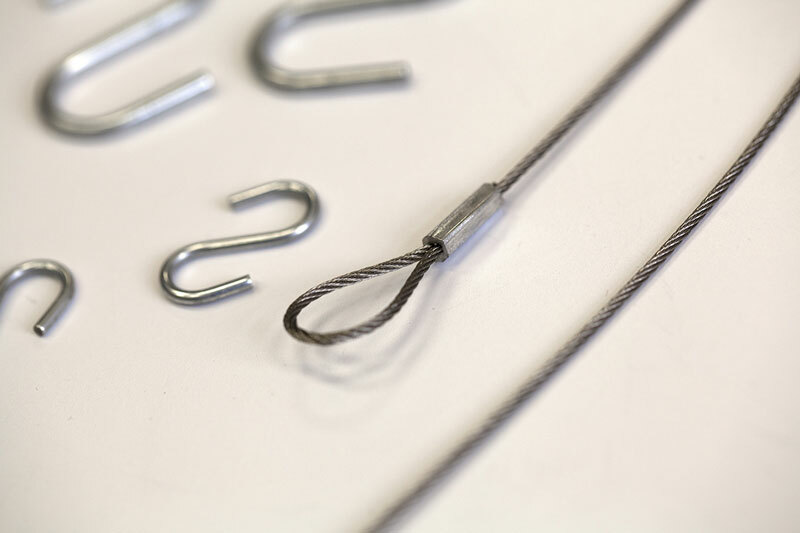 Hardware for attaching cables to the ceiling is not included. 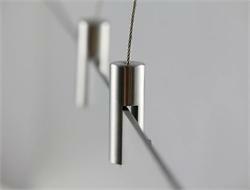 You'll want to determine the best ceiling hardware for your specific ceiling type. 1.25" Diameter magnetic hooks. 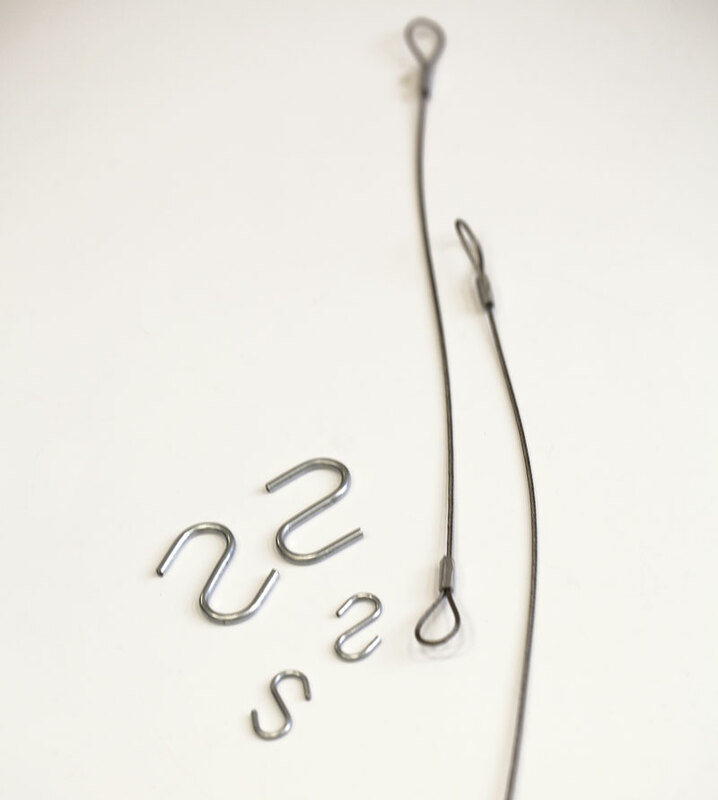 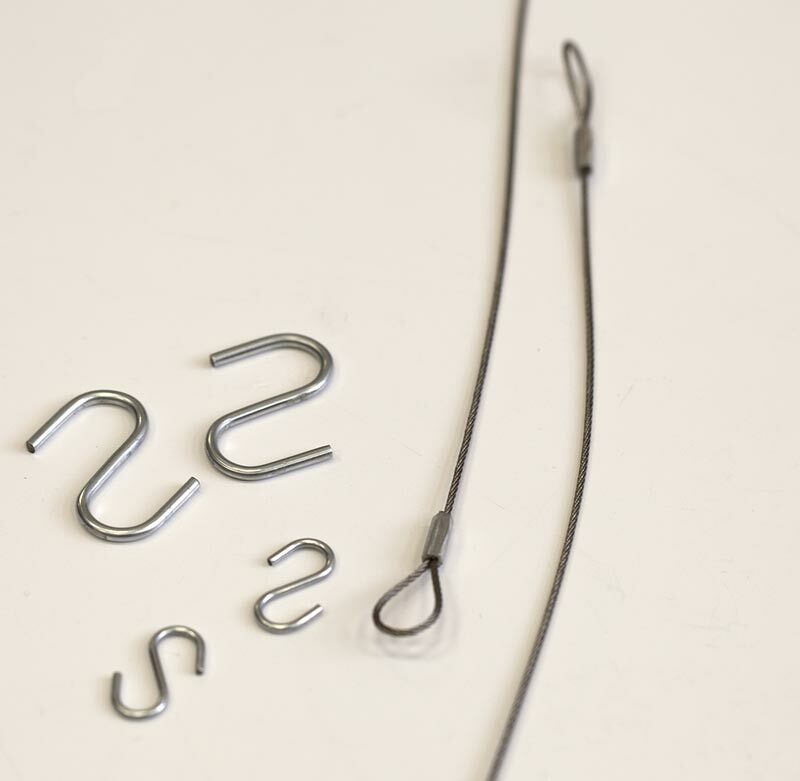 Zinc coated hooks hold up to 4.5 pounds. 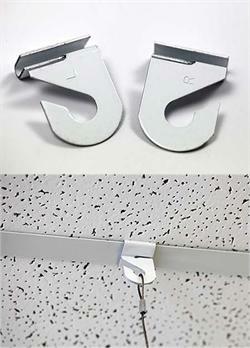 Ideal for hanging ceiling signs and endless other hanging options.